Palladium boots — shown here in grey/purple with side zip — are available at Max’s Footwear Boutique and Cobbler. Photo by Luther Caverly. Step up your game with boots from Palladium, a 90-year-old company with roots in the aviation industry. 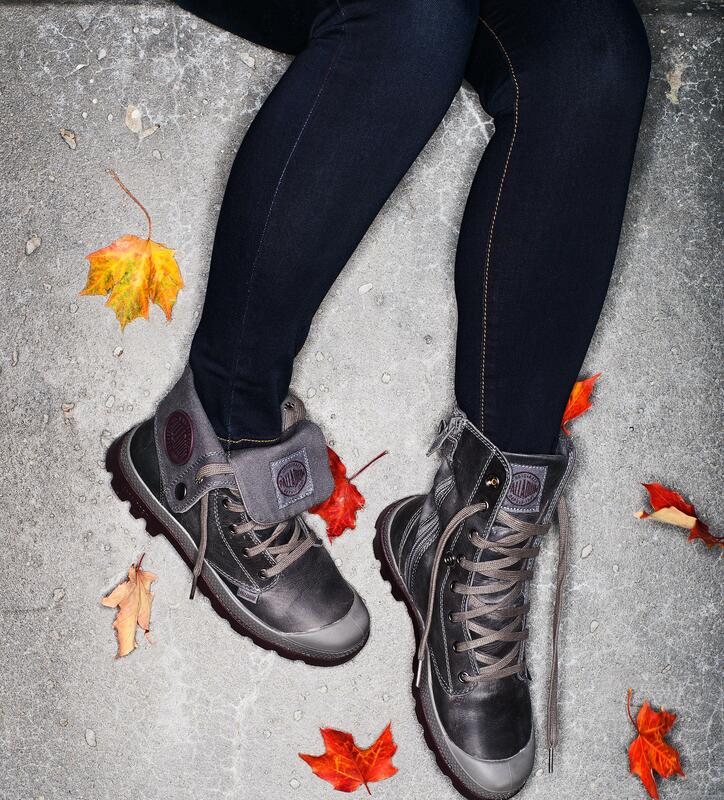 Their advanced canvas and rubber technology means these eye-catching boots are as hard-wearing as aircraft tires. Wear them laced up for a punk look, or snap them down to give sporty style to an outfit. Available in men’s and women’s styles in a variety of colours and styles. $140. Max’s Footwear Boutique & Cobbler, 1264 Wellington St. W., 613-422-0960, maxsshoerepair.com.